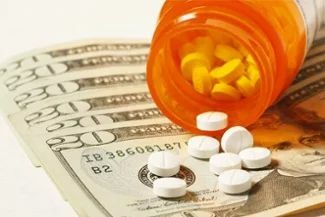 How do I ask my family to help pay for addiction treatment? It takes great courage and a true desire to change your life when you admit to your family that you have a substance abuse problem and need their help to pay for addiction treatment. Depending on how your relationship with your family is, this conversation can go many different ways. Here are some tips. 1. Be honest. Recognize and apologize for all of the things you have done and regret during your addiction. This could be challenging depending on how much you have eroded their trust. 2. Share your feelings about why you are ready for help. Again, be honest, show that you have learned from your mistakes and accept responsibility for what you have done. You may have already been down this road before. Create a plan for how you want to turn your life around. Write down your plan. Show them where your pitfalls were last time and how you plan to do things differently this time. 3. Invite your family to research treatment centers with you and make them part of the decision-making process. 4. If they are paying for your treatment, they should pay the treatment center directly rather than giving the money to you. This way, their money goes where you promise it is going. 5. Once in addiction treatment, include them in the treatment process as much as the treatment center will allow. Why Will Nothing Cure my Child’s Addiction? A common misconception to addiction is that following a treatment episode, someone may be “cured” of the disease. Addiction is similar to diabetes and hypertension in the sense that it is an incurable, but manageable disease. While someone with diabetes must watch their diet and check their insulin, and those with hypertension also maintain regiment of diet, exercise and stress-relief exercises, someone diagnosed with an addiction will need to follow a daily regimen to remain sober. Those who enter a treatment program will be taught the importance of following a schedule, attending meetings, doing step work and other behavioral changes that may have been part of the treatment plan. 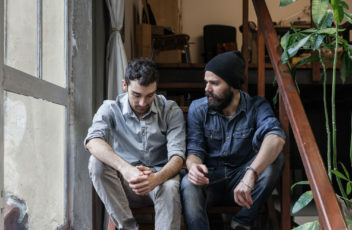 When an individual, especially those who are new to recovery, takes a lax attitude about maintaining recovery, the likelihood of relapse increases. Addiction will not “just go away” overnight and even those who have 10 or 20 years clean can still succumb to a relapse. The individuals who have the best success in treatment are those who enter a treatment facility who addresses their needs, engages in the treatment process and follows the aftercare plan and relapse prevention plan faithfully. There are many people in society that make a decision to get sober and start living a clean, healthy life in recovery. Once this decision is made, there are many paths that people can take to reach their goal. The choices can seem like a maze with road blocks and dead ends. While some will attempt to detox on their own and quit “cold turkey,” others will go for a professional, medically-supervised detox. Once you reach detox, there are new treatment options – outpatient, residential or none. For some who opt not to go to treatment, but feel that they need some sort of support network, 12-Step recovery meetings provide yet another option. For many people, simply going through detox (alone or supervised) and attending 12-Step meetings is not enough to establish a firm foundation in recovery. Addiction is a complicated disease and learning how to manage it generally takes intense counseling so the client can re-program thoughts and beliefs. 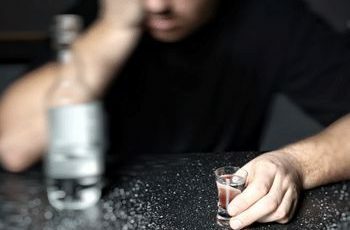 Often, there are underlying factors that led to the initial substance abuse and until these issues are resolved, the possibility of relapse remains high. Treatment provides clients with counseling services, teaches about the disease of addiction as well as coping skills and the development of relapse prevention plans. Attending and participating in 12-Step recovery meetings is part of the relapse prevention plan. As we work with our clients to get them on the road to recovery from drugs or alcohol, one of the things we do is look for issues in the client’s personal history that require resolution and trigger points that could cause a relapse. Understanding and overcoming co-dependency is part of the treatment process for many. Why does this hinder recovery efforts? If an individual is co-dependent on another individual recovery efforts can be undermined if the relationship continues. For example, Becky is a female who is an alcoholic. Her boyfriend Brad is also an alcoholic. Brad has a tendency to belittle and be verbally abusive to Becky, which eats away at her self-esteem. She began drinking with Brad trying to dull the pain of his verbal assaults. At one point in Becky’s life, she is in a treatment facility – this may be due to her own decision to change her life, a family intervention or possibly a court-ordered treatment program because she’s received multiple driving under the influence charges. Treatment is difficult for Becky at first. She doesn’t like being away from Brad and worries what he’s doing and who he is with. She spends her time thinking about him rather than focusing on her own issues. Finally, one day in group, she hears another client speak about an abusive spouse. The words ring true to her and she begins to open up to her counselor and other clients about the situation. She begins to understand that the best thing for her is to end her relationship with Brad and get a fresh start on life, but…. Some of the common “buts” are “but, I love him/her,” “but I’m financially dependent on him/her,” “but we have children together,” “but I think he’ll/she’ll change,” “but I don’t want to be alone.” As long as the “but” is part of the client’s belief system and thought process, this individual’s long-term recovery is in jeopardy. Overcoming co-dependency is challenging for most, but a necessary piece to developing a firm foothold in recovery because the subject of the co-dependent person is also often the trigger for substance use. At Pathways, we understand that many clients have issues beyond substance abuse, such as co-dependency, and for full success, these challenges need to be overcome. For more information, please call 855-349-5988. 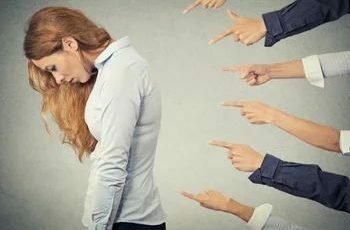 1 – When someone else acts inappropriately, I often feel guilty for him or her. 2 – It is hard for me to accept compliments from others. 3 – It is hard for me to say “no” when someone asks for help. 4 – I feel terrible about myself when I make mistakes. 5 – I have an overwhelming desire to feel needed by other people. 6 – I stay quiet to avoid arguments. 7 – I value others’ opinions of me more than I value my own. 8 – I feel resentment toward people who will not let me help them. 9 – I am often preoccupied with other people’s problems. 10 – I feel rejected when my significant other spends time with friends. If you agree with most of these statements, you possess traits/beliefs shared by many people who are co-dependent. You may want to consider seeking professional help. Most people think of addiction as the problem of an individual. In reality, it is a problem that affects an entire family. The disease of addiction causes individuals to do things that they’d have never dreamed of doing before their addiction began, including stealing from friends or family members, lying and other manipulative behaviors. A parent of an addict spoke of sleeping with his wallet under his pillow so his son would not steal money from him in the middle of the night. A spouse of an addict opened a new bank account, restricting his wife’s access to the account so she could not spend money earmarked to pay the family bills on drugs or alcohol. A parent loans adult child money to pay rent because the child has fallen on hard times and can’t find a new job. The parent does not realize that the hard times were caused by showing up at work under the influence, or maybe not showing up at all. Valuables are placed in a safe inside the home or possibly safe deposit boxes are rented at a local bank with the hope of keeping these items out of the hands of a family member who would sell these items for drugs. Children are pulled from their parent’s custody and placed with a family member or in the foster system because of signs of neglect, which traces back to the parent’s substance abuse problem. When someone is an addict, their only goal in life is to obtain the next high and they will lie, cheat and steal if necessary to find the means to get drugs or alcohol. Don’t let substance abuse ruin your family. If you have a member who is abusing drugs or alcohol, help is available at Pathways. For more information about our residential treatment programs, call 855-349-5988. One of the biggest challenges for some of our clients is dealing with a sense of self-worth. Those who suffer from low self-esteem struggle doing recovery work because they feel their lives are meaningless. Why do they feel this way? There could be a number of reasons, ranging from prior emotional abuse, to public perception about substance abusers. If you hear these types of comments about yourself, why would you try to get clean and sober? How could you believe that there is a better world of recovery out there and that your life is worth saving? This particular client was the youngest of three daughters in a middle-class family. Her mother worked in a group home for troubled teens. When the client graduated from high school and enrolled in a local community college, the mother released a big sigh of relief, believing, “I raised my children and they are good.” Only a few months later, she quickly saw the signs. Her daughter’s personality was changing and school didn’t seem like a priority. She wasn’t sure about the new boyfriend her daughter was seeing and despite her training in dealing with the teens, the mother made several mistakes, not wanting to believe her daughter was involved in drugs. The situation escalated quickly and before long, the daughter with the promising future had been arrested for shoplifting. The goods that were stolen were going to be sold or traded for drugs. The mother was able to get the daughter into a treatment center. On the legal front, she still had probation, fees and restitution, but she was getting help for her substance abuse and that was important. Going to treatment gave this woman her life back. She’s now the daughter, niece, sister, aunt and friend that her family and friends knew and loved. A mother herself now, she is still paying off legal debts, but plans to finish college. 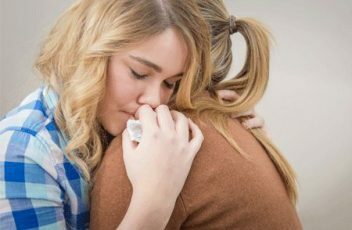 If you have a friend or family member that you suspect is struggling with substance abuse, encourage them to seek help, to find a better life and change their ways. Contact Pathways for more information about our residential treatment programs by calling 855-349-5988. Twenty plus years ago, I married a woman who had two young adult children from a prior marriage. I also had two young daughters of my own. The transition was challenging at first. Her kids accepted me, but my girls did not accept her. I didn’t force the issue. My step-daughter was a beautiful, creative woman with so much promise. Sadly, before I met her mother, when she was in high school, she became rebellious. It was the 80’s and the role of women was changing in our society. She chose to marry and start a family rather than go to school or develop her talent. In what seems like the blink of an eye, she and her husband had two small children and divorced. I blamed it on immaturity. She wasn’t ready for the role of an adult. She still wanted to party. Before long, she met and moved in with a man who introduced her to cocaine. Our lives were forever changed. My wife and I were constantly receiving calls from the local jail to come and bail either she or her boyfriend out of jail. My wife and I were at odds she said; leave her/them in jail until they grow up. I would head down there and bail her/them out. They’d promise it would never happen again. On Sunday nights, we’d get calls from her first husband. He had the kids and was trying to drop them off with their mother, but she wasn’t home. Was she with us? Often, my wife would go to my daughter’s home, meet her former son-in-law and stay with the kids until their mother got home. She’d tell the kids, mommy has to work today, feeling guilty about the lie. He eventually petitioned for custody of the kids and won. During this time, I abandoned my own children. I told my first wife about the situation in my home and we agreed not to expose them to the chaos that was taking place in my home. In hindsight, we should have been more open and honest about what was happening. They felt abandoned and were angry. They were both bright girls and headed to college. It was as if I was punishing them for their good behavior and rewarding my step-daughter for her bad behavior. I didn’t even realize it at the time. I was focused on trying to make things right at home. The relationship between my step-daughter and her boyfriend was very on and off. She’d often stay with us when they were fighting. When she did, things in my home would disappear. My wife had jewelry missing and I replaced a few TV sets. My step-daughter was stealing from us to buy drugs, getting arrested and then I was paying her legal fees. I had a good income, but I began to struggle to make ends meet. One day, I said to her, enough of this, you’re costing me too much money…if you need money for drugs, I’ll just give it to you. My wife was furious. Today, I understand that I am an enabler. Instead of adopting my wife’s tough love approach, I supported the addict in her addiction rather than forcing a behavior change. After about 10 years of this cycle, my step-daughter vanished. We had no idea if she was dead or alive. We assumed she’d run off with some new boy she’d met, but really had no information. While we were both worried sick, there was calm in our lives. We weren’t getting the calls in the middle of the night, none of our possessions were stolen and I wasn’t visiting my friends at the jail while bailing her out again. This was extremely hard on her children. They were supposed to visit her and she never went to get them. She never called. Their father had no answers and we had no answers. I saw pain and fear in their little faces. My wife vowed, if she’s okay and comes back, we aren’t going to live like this anymore. We fought, but in the end, my wife prevailed. After several weeks, my step-daughter reappeared on our doorstep as if nothing had happened. She was high as a kite. My wife laid down the law. We are not living like this; we are not going to support you any longer. The calls in the middle of the night, the not knowing where and how you are…it’s just too much. My story doesn’t have a happy ending. While my step-daughter did get help and stayed clean, the toll of the years of drug abuse were too much for her body. She passed away after being clean for about five years. My marriage also came to an end. The combination of financial issues and the stress of the situation was too much. I think my wife blamed me for her daughter’s death. Maybe had we employed her approach sooner and forced an intervention, the drugs would not have caused so much damage. My advice to any parent or step-parent dealing with a child abusing drugs is to get them help right away. They aren’t going to “grow up” if they are addicted; they are going to get worse until one day it is too late.